It is getting ever closer to the social event of the year… The annual TKC Charity Golf Day and Gala Dinner, which takes place on Friday 16thJune 2017. It promises to be an incredible occasion and one we would hate for you to miss out on. This year we are proud to announce our amazing sponsorship packages! We have devised these deals to endorse and advertise your business while raising much needed funds for Al, Andy and Sam’s (Tyrone, Kirk and Cheseney) chosen charity. We are offering a full event sponsorship package (full details below. If you are interested in this exclusive offer please act quickly as it’s first come first serve), and on-course hole sponsorship deals. Four sponsor boards for around the tee and green. Photos with your board with Al, Andy or Sam. Decorate the hole and green how you wish, promoting your company. If you have any questions or queries about the day or our sponsorship deals, please feel free to call me on 07967 607701 or email me at mark@eventsunplugged.com. 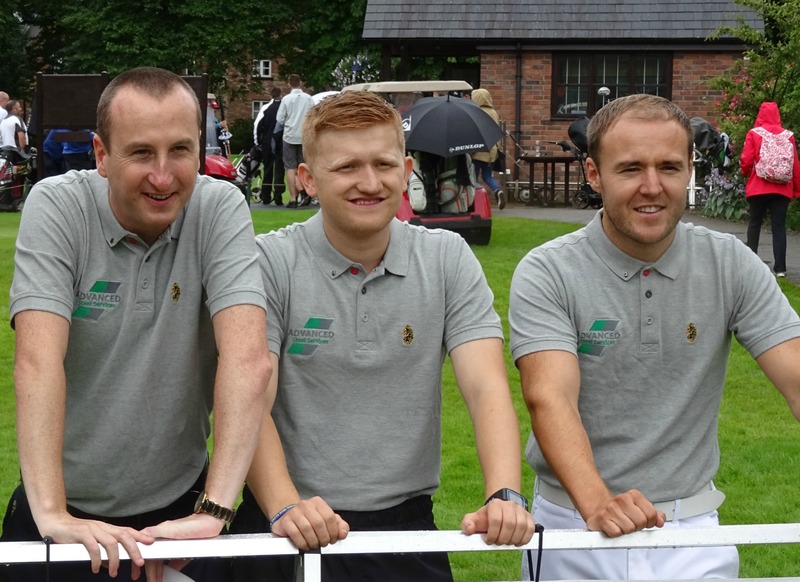 Tyrone, Kirk & Chesney’s Amazing Golf Day!